Contrary to all the Sudanese political leaders, al-Sadiq al-Mahdi’s thinking needs to be examined by a psychologist to exactly tell us about the features of his mentality. Such a notion is maybe novel to you. But it is due to the practices of a man whose objectives in politics have not yet proved that he is really a nation leader. Unfortunately, the more political al-Mahdi makes the more his ability to convince people with honesty fails him. He is even unable to convince us that he is a good reader of the political transformations that have occurred in the past fifty years in the country. It is, therefore, not surprising that the luxuriant Imam ended up as if he became an ambassador for an authoritarian regime. His diplomatic missions are mainly about cleaning the regime’s dirty face, solving its own crises and delaying actions of its opponents. Throughout his political history, al-Mahdi, didn't acknowledge once his mistakes in order to make a virtue in this realm. Much more, he has never re-examined political references he has used. al-Mahdi’s mentality reflects deeply rooted conflict of ideologies. He calls for the application of Islamic law, although not at the level of social grassroots as some Salafists advocate. At the same time, he associates himself with those who call for the importance of secular separation of powers. The last elected Sudanese prime minister also associates himself with those believing in Claude Levi-Strauss’s modernity, and then tries to be a man of enlightenment, locally and internationally. All this happens through his writings which call for preserving the environment, taking care of poor people when applying the policy of the World Trade Organization (WTO), reducing global warming and preaching dialogue instead of conflict of civilizations. Moreover, the man did not hesitate to travel a lot around the world to create alliances with Malaysians, to receive help for Gaddafi and to strengthen ties with Shiite Iran. 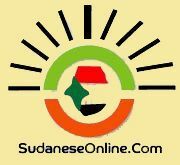 Sometimes and in order to maintain unity of the country, you would find him adopting visions of those New Sudan forwarded by the armed forces that fight the government army. However, he was showing us sensitivity to gaining a political equality that could make new equations in the political scene. His deep Jealousy versus John Garang almost killed him. No wonder he attacked the Comprehensive Peace Agreement (CPA) for the simple reason he was not one of its architects. The jealousy started during his presence in Egypt. After failing to twist John Garang’s hands, who had allied himself with Mohamed Osman al-Mirghani and the Sudanese Left, al-Mahdi suddenly left Cairo to meet his brother-in-law in France for help. Thus, al-Mahdi opined that the short road to Khartoum begins in Djibouti or France not "Garorah", where he gathered his followers to offer them some guidance. The Panorama does not end at here. Seeming as a Sudanist who speaks of the country’s folklores, he decorates his house with paintings closer to the style of the Khartoum School of Arts. Also, it seems that the man is a stylist when calling upon women to get rid of the fat glorified in traditional songs. His Arabism is shown in all his trials to market himself through intellectual discourse that establishes the identity of Sudan based on Arabic viewpoint. While doing so he gestures that those calling for the African identity are intending to slaughter Arabs when they reach power. Moreover, al-Mahdi exercises sport with the Sudanese bourgeoisies he brought them to the Umma Party, not because of their talents but for capitalist interests. As well, the man proved to be a dictator by getting rid of the leading persons in his party. His selfishness appears in insisting on the dominance of his views, or otherwise he will disband the Party. Al-Mahdi failed to be a real statesman, particularly when the country is in dire need of political honesty, creativity and seriousness. He never realized that successful statesmen are those who endeavor to bring in practical achievements in the society. These words featuring al-Mahdi’s activities do not aim to lessen the man’s humane side. In fact, he has achieved some wishes in some specific estimate. But the thing people know about him is that he talks and writes much and produces nothing. As a result of these wasted political efforts, the country has paid a high price for the man’s failed adventures. Despite half a century of marketing himself as a top Sudanese leader, the Ansar imam failed to avoid Islamist traps. He sat hundreds of times with powerful Islamists, in good faith, but every time he sits with Al-Bashir he then be hired by him to serve the regime and to contradict his thoughts. Despite that the Islamists have insulted him regularly; al-Mahdi didn't know the filthiness of the Muslim Brotherhood yet. Knowing that the Islamists divided the country, brought the plight of Darfur and let the country’s elites immigrated in large numbers, etc., he had ignored all calls from his allies urging him not to dialogue with Sudan’s Islamist. Given that he showed us his confidence in Al-Bashir now, I do not know how he would square with the signatures he had collected under the call for toppling the regime. My sense is that the recent meeting between Al-Bashir and al-Mahdi was not about national agendas. In fact, the meeting was probably about one of Al-Bashir’s ideas to save himself from the troubled relationship between the Egyptian Islamists and their rivals in the government. The regime’s leader basically tried to give Al-Mehdi a diplomatic mission to mediate between the Egyptian government and Egyptian Islamists. The success of the mission is highly needed. Still the question remains: Who is able to offer al-Mahdi psychological checkup? That is extremely important for his own sake and for ours as well.